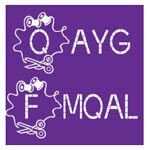 Perth Modern Quilt Guild asked me to do a free-motion quilting skill-share session. We are having one skill-share each meeting and this month it’s my turn. 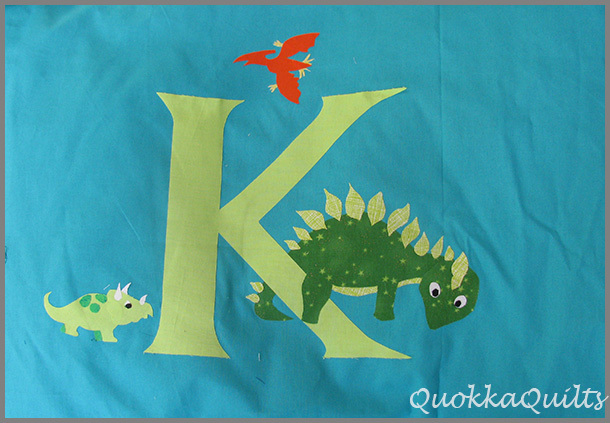 As we’ve been doing a ‘how to appliqué’ series, it was suggested that I demonstrate FMQ appliqué and trapunto. I had an idea but I had to enlist some help. 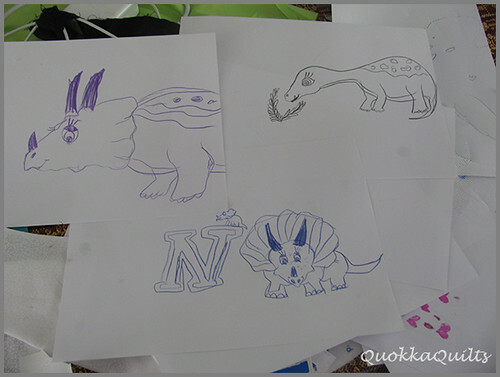 Neeve is 8 and was given the design brief ‘dinosaurs’. 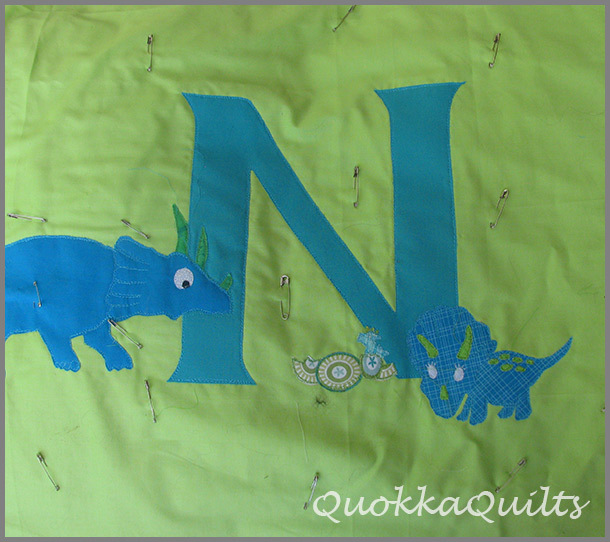 Actually, Neeve’s obsession with dinosaurs inspired the project. I just had to get her dad to find the time to come and visit. 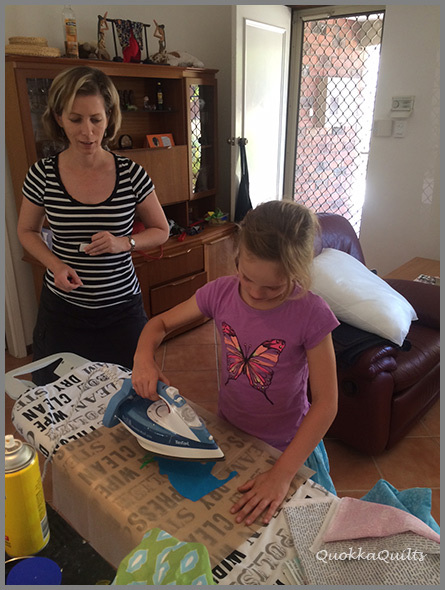 Fortunately her dad is a designer so while your average guy isn’t into designing cushions, Alan totally is. Here’s just a few of the dinos Neeve came up with. 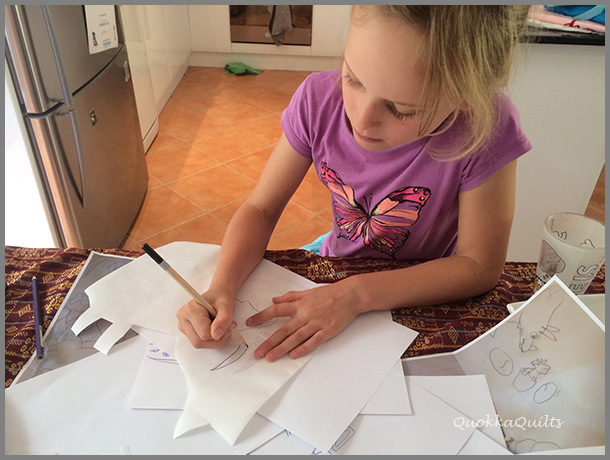 Father and daughter were FAR more interested in drawing than fabric, but Neeve did learn how to put her own dinosaurs together. Here’s her cushion front, pinned and semi sewn. (Her dad drew the letters). And here is Neeve’s brother’s cushion front, just fused together ready for the demo. Now, let’s just hope my Bernette behaves on Sunday! Adorable! What great samples to have for your session. Have fun! Looking forward to seeing Bernette in action!